The Year 1 and Year 2 children had a super celebration day to conclude the work they have been doing on monarchs. 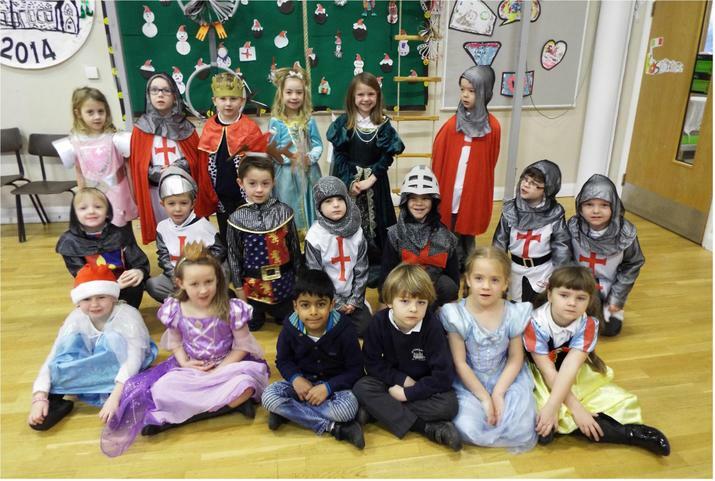 Dressing up as kings and queens, the children had a 'royal party' which concluded with a banquet in the classroom. The children have really enjoyed their topic, learning about castles, the lives of different monarchs, and even bringing their painted king and queen portraits to life with 'ChatterpixKids' on the iPads to create 'guess who' talking video clips!